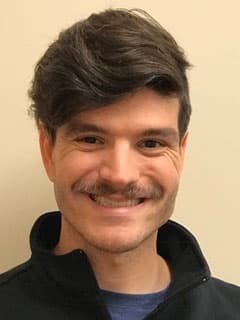 Daniel Fichter, DrOT, OTR/L, is an occupational therapist with the Pediatric Feeding and Swallowing Clinic and Day Hospital Feeding Program at Children's Hospital of Philadelphia. Daniel Fichter, DrOT, OTR/L, is an occupational therapist at Children's Hospital of Philadelphia. He provides interdisciplinary clinic evaluations and treatments with the Pediatric Feeding and Swallowing Clinic and Day Hospital Feeding Program. He provides outpatient occupational therapy for children with a variety of medical diagnoses, specializing in international patient care and use of aquatic therapy.